We work as a multidisciplinary team to provide what we feel is the best possible experience for expecting moms. 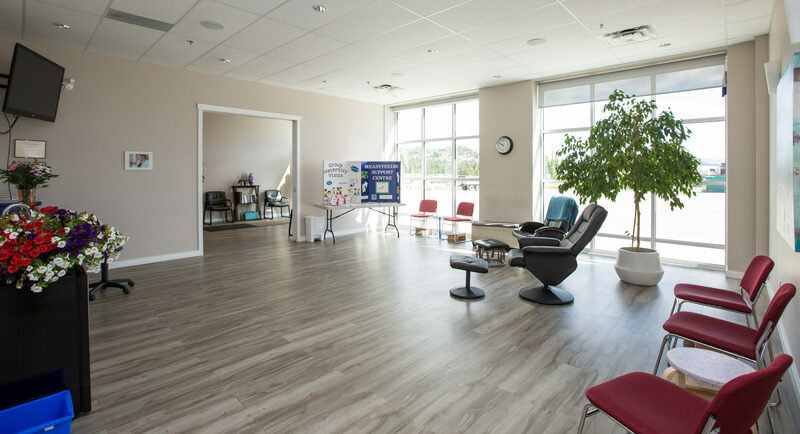 Our clinic offers a unique combination of midwife services, breastfeeding support, and prenatal classes. We’re proud to create maternity care that considers your individual needs. We’ll listen first, and ensure you have the information you need to make the best decisions for you and your baby. Registered midwives are health care providers that specialise in normal pregnancy, labour, birth, and postpartum care. Midwives in BC can provide care from the start of your pregnancy and up to six weeks after you deliver. Midwives can order any standard blood tests or ultrasounds, make referrals, and prescribe certain pregnancy related medications. They support education, informed decision-making, and evidence-based care. Are midwives covered by MSP? Yes, the services of a registered midwife are fully covered by BC’s Medical Services Plan. Midwives offer a choice of birthplace and are able to attend births at home and in the hospital. Individual preference and the health of the pregnancy are important factors in this choice. Our midwives will discuss your preferences with you and pregnancy-related indicators for a safe home birth or hospital birth. What’s your view on pain medication during labour? midwives will discuss all pain management options available for labour prior to the birth of your baby. If you wish to have pain medication in labour, including an epidural, your midwife will work with you and the health care team to facilitate this. Most breastfeeding families benefit from a combination of education, social support and medical care. We can provide all three. There is no charge to you and our services are available for children of any age. What is a lactation consultant or counselor? Lactation consultants and counselors are experts on breastfeeding. Lactation consultants have taken special training and courses, while counselors rely on a wealth of personal experience. Both counselors and consultants are able to help you with breastfeeding including troubleshooting issues and improving latch. When would I see a lactation consultant or counselor? Our lactation consultants and counselors are available during our drop-in breastfeeding clinics. If you’re coming for a postpartum visit on a Tuesday or a Friday, they will likely be the first care provider you see. What happens during a breastfeeding support visit? Our lactation consultants and counselors will help you weigh your baby, track their weight gain, and make suggestions for any feeding concerns you have. If you have a concern that they’re unable to address, the lactation consultant or counselor will refer you to our midwife or physician. Our childbirth educators lead classes in a welcoming group setting. Combine your midwife or doctor appointments with a prenatal class and build a support network as you transition into parenthood. Childbirth educators are knowledgeable about achieving a healthy pregnancy, the stages of normal labour and birth, coping skills in labour, local hospital facilities, breastfeeding, and newborn care. You and your support person will begin classes around the 20th week of your pregnancy. New groups begin on a regular basis with members that are all due within a month of each other. Each group meets for eight sessions during their pregnancy. The first four visits are scheduled three weeks apart, then every two weeks. The final visit is a reunion after all the babies are born! Group visits include a personal check up, an educational section, and an opportunity to socialize with other pregnant women and their partners. Session are two hours long, usually scheduled near the end of the work day or early evening. Light snacks are provided. You’ll visit with other group members and take part in self-directed learning activities while taking turns having a few private moments with the Caregiver for a “belly check”. Women monitor their own blood pressure and weight. Once all the belly checks are finished, the group will gather for a learning activity based on the topic for the session such as labour, newborn care, or breastfeeding. Why would I go to these classes? Instead of reading magazines while you wait to see your caregiver, you can participate in fun, timely educational activities and get to know other parents who are going through the same things you are. When you join a group, everyone is asked to sign a confidentiality agreement. You will step aside from the main group during your “belly check” and have a few moments of privacy with your medical Caregiver. Any procedures, tests, or discussions that require complete privacy will be scheduled during a traditional office visit.